The prospect of investing your money in a vacation property can be very daunting for those doing so for the first time. It is wise under any circumstances to investigate the company with whom you are going to purchase any expensive product. 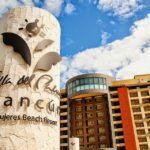 The choice of whether to opt for full ownership or fractional ownership is something you will want to consider; however, in the case of buying a timeshare product in Mexico, The Villa Group offers some of the best deals and services in the industry. The Villa Group is a timeshare company with almost three decades of experience in selling first rate timeshare products. The group has stood the test of time and the recent global economic crisis with its excellent reputation intact and an ever-expanding inventory to its credit. As a rule, when buying a timeshare and wanting to avoid a nightmare, you are well advised to use a larger long standing company like Villa Group rather than a smaller start up group. The wide range of products offered by The Villa Group Timeshare in some of the top locations in Mexico are impressive. There is something for all budgets and tastes, from luxury penthouses to family value units. Another advantage of buying from a company with such a large repertoire is the option to exchange your timeshare for a different destination within the same timeshare company. BOOK A DISCOUNT VACATION TODAY! Share the post "Review: Buying a Timeshare with The Villa Group"